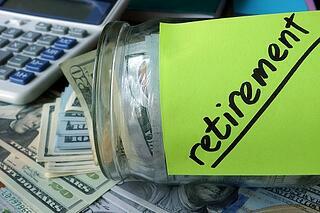 Can I Contribute to My Retirement While in Chapter 13 Bankruptcy? The point of a chapter 13 bankruptcy is to require people that have extra money at the end of the month to repay at least a portion of their debt. The Bankruptcy Code uses an analytical approach (the "Means Test") to determine what is considered to be "extra" money (termed projected disposable income in the Bankruptcy Code). The Means Test considers the total household income and then deducts necessary and ordinary expenses to determine what amount of money is left over to pay to creditors. Well, is socking away money for your retirement necessary and ordinary? The answer is yes. Most courts have found that a debtor can continue to contribute to retirement at least up to the amount that they had prior to filing bankruptcy. Some courts have found that a debtor can even increase contributions while in bankruptcy; thus, leaving less disposable income to pay to creditors. So if you are considering bankruptcy should you start contributing to you 401k? Probably, but be warned. A bankruptcy is required to be proposed in good faith and the trustee will be scrutinizing any change in contributions made on the eve of bankruptcy. For help from a Chapter 13 bankruptcy lawyer contact our offices today for a free bankruptcy consultation.